I spent many, many years planning fabulous weddings...and I gotta tell ya...I miss it (not the long hours...but everything else). 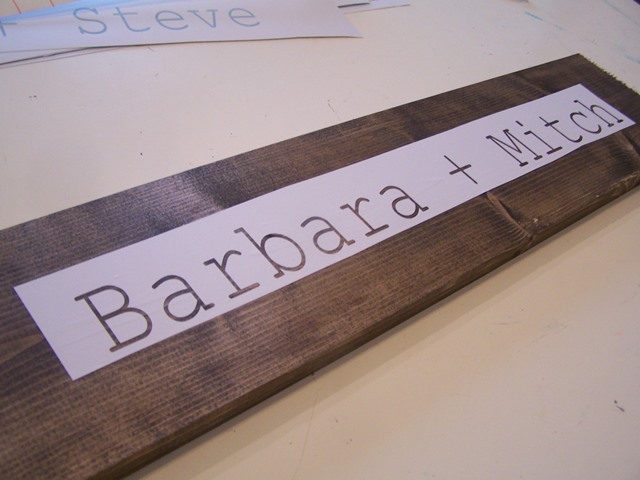 Last year an amazing caterer I know asked me to make these rustic wood wedding signs for each of her couples. 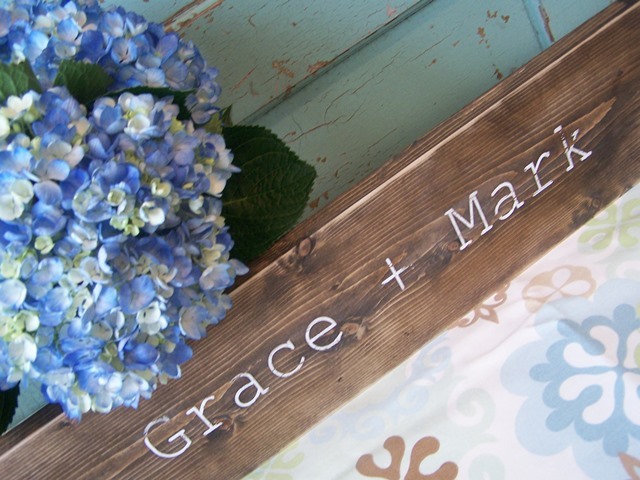 I love the idea and they are such an amazing wedding keepsake or unique part of the wedding decor. Wood stain. I prefer to use cider vinegar wood stain. Of course you can select stain from the hardware or craft store. You just need one small can to make a sign. Sand paper/sanding block. I use my Dremel. 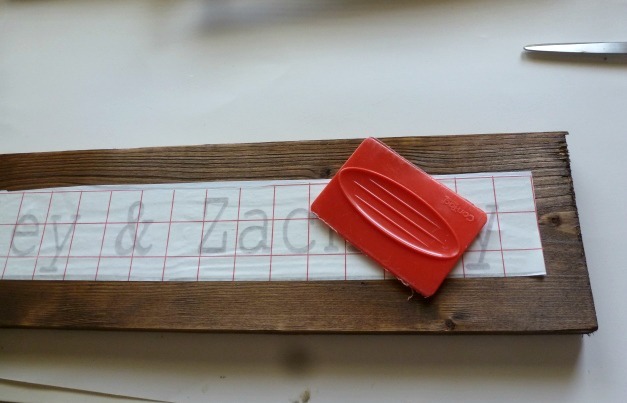 Cut boards into 24" lengths. You can change the length for different length/size names. Stain the wood. Protect your hands and work in a well-ventilated area. Wipe a coat of stain on the wood, and them wipe off excess. Repeat on both sides and edges. 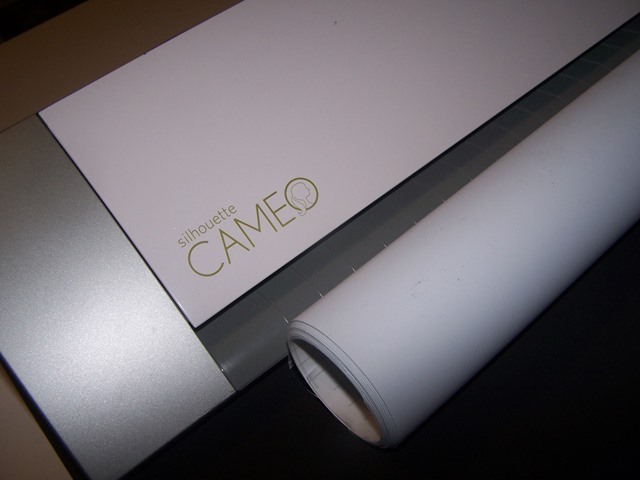 OR create your own stencil using an electronic craft cutter (Silhouette or like machine). 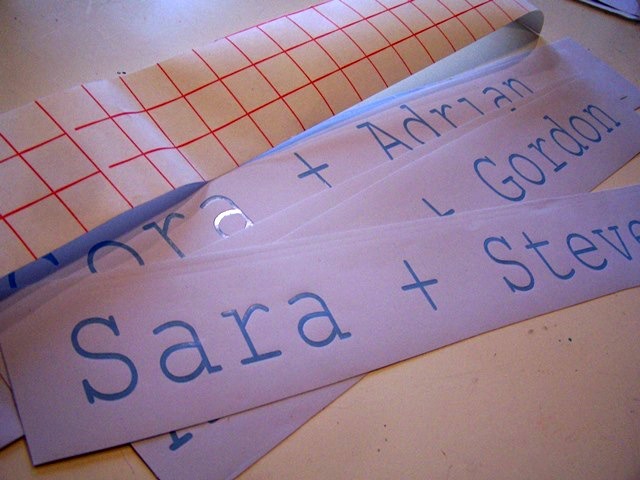 I use a font I like, create the stencil on 24" length and cut using the "no mat" feature. Once the stencil is cut, remove the letters, leaving the large piece with the cutout letters on the vinyl backing (this is the stencil). Apply the transfer tape on top of the stencil. Peel the back off the vinyl. 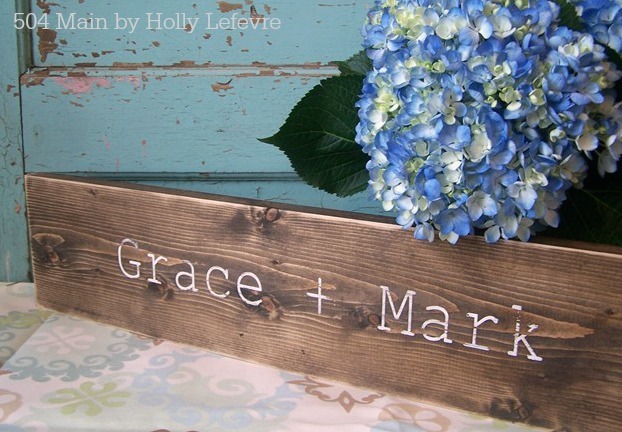 Place the stencil on the wood - center the names vertically and horizontally. TIP: I actually prefer to move my names up (horizontally) about 1/4" to 1/2" - it just balances better. Find the center and move the stencil just slightly. 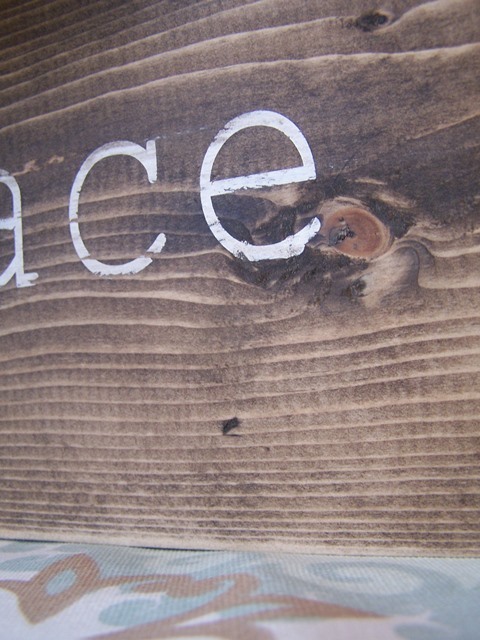 Rub the stencil onto the wood, and carefully remove the transfer tape. Paint the letters white (color of your choice). 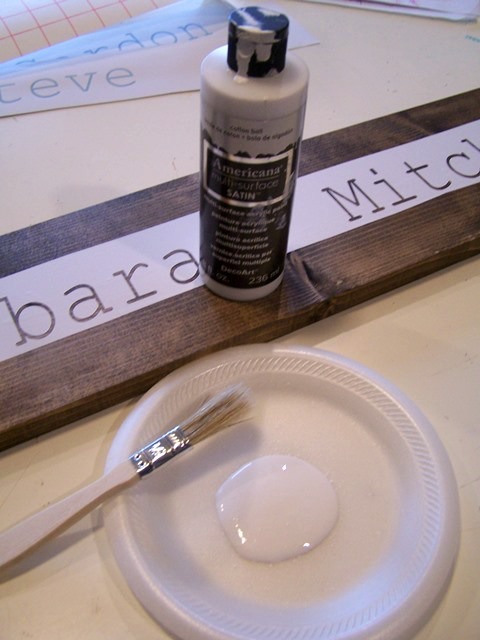 Apply a second coat of white once the first coat is almost dry. Let dry. Sand the corners to round them a bit. Sand all edges for a distressed look. Sand the back and sides as necessary to remove any shapr edges or "splinters" from cutting. Lightly sand all over the top, including over the names - you can add a bit of more aggressive sanding for a more distressed look. 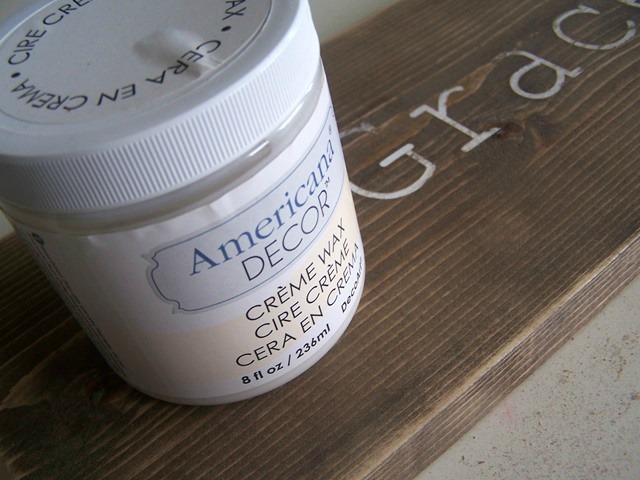 Either spray (outside with protection) the board with Deft Spray or wipe on the Creme Wax and wipe off. 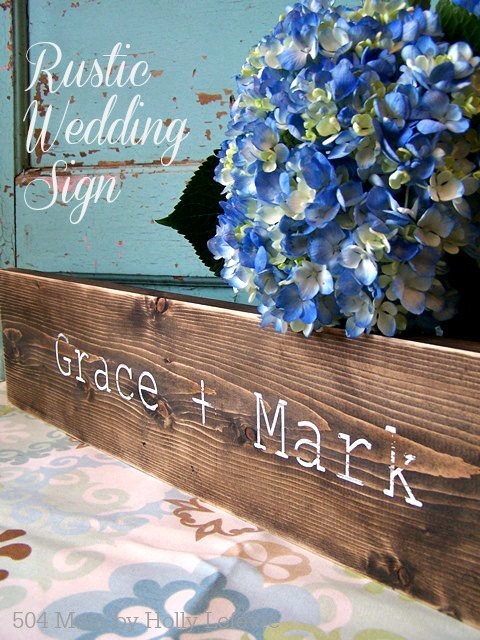 Now you have a great gift or a fabulous wedding accessory that look amazing on a guestbook table, dessert table, the bar, or even for an engagement photo. What your favorite wedding decor idea? Hi Melissa! Your comment has a "no reply blogger" email and I couldn't find an email on your profile...so I hope you see this! I used Courier New for this sign.